The console with the floor mounted shifter is tiny compared to the one included with the column shifter for my year model. That thing is a huge blackhole from which there is little hope of escape lol. So much so I added a motion activated light and organizer. I'm sure there is something hiding in the bottom forward. I have twin captains chairs up front, not the flip up center seat. Did they shrink the consoles on the newer models with column shifter? Last edited by Rnlcomp; 02-07-2019 at 08:55 PM. Part of the reason I choose the f150 over the ram was for the console shifter. I just like the feel of it better and it is a natural hard or arm rest if I am flipping through my thumb drive or sirius as a music fan. I make sure the truck has a column always. I like the option of carrying up to 6 people if need be. Center seat folds down and sometimes have built in storage (I plan on swapping the center in my '14 as it doesn't have the storage lid). I just don't like having a console. Feels more open inside and more "truck-ish" with column. I’m confused,,, my 13 has a console shift but the storage in the console is HUGE, I could put a 12 pack in there easy..
Last edited by Chuck Van; 02-07-2019 at 11:16 PM. My last two trucks had console shifters, and after having them I think I'd prefer a column shifter, I'd even be ok with a dial shifter like the Ram uses after driving one as a rental for a week. 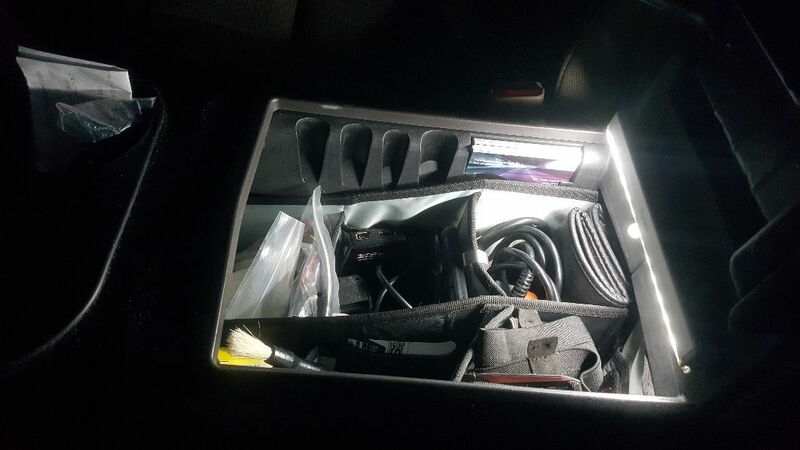 I don't keep a lot in my center console, but it'd be nice if there were a couple extra larger slots, especially when my family is with me and we've got bottles, snacks, etc, and that console shifter takes up a lot of space. It's one of the areas where I think truck designs have gone backwards; a column shifter works well and is out of the way. Last edited by 2015rubyFX4; 02-08-2019 at 08:57 PM. That being said... what organizer is that? I got a XLT, and I got the center flow-through console and a column shifter. Unless you intend to use the console shifter''s transmission gear selection features, I don't see any tangible benefits or advantage. Once the transmission is in gear, the gear shifter location disappear in the background.